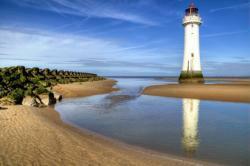 The Wirral is a peninsula, this means that we live on a region of land that juts out into a body of water. It is also defined as a piece of land with water on three sides. To the West is the River Dee, to the East is the River Mersey and to the North is the Irish Sea. The coast is an exciting place to be – but it’s easier than you think to get into trouble in the water. It’s easier than you think to get into trouble in the water. Get to grips with the common risk factors and find out how to minimise them. Know your limits and don’t take risks. While you’re in: Make sure you have someone watching from the beach to provide shore cover. Make sure they have a way to call for help. What to look for: Read safety signs. Always seek local advice on the tides to make sure you don’t get cut off. Keep calm: Once you’re calm, call for help. Swim for safety if you are able. Extend your arms, legs and life expectancy. If you fall into water, fight your instinct to swim until the cold water shock passes. The average temperature of British and Irish waters is 12-15°C – cold enough to cause cold water shock. 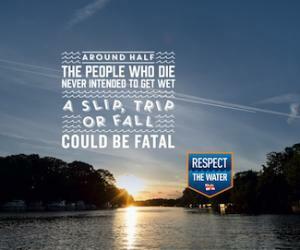 Cold water shock makes you gasp uncontrollably and breathe in water, which can quickly lead to drowning. Fight your instinct to swim, pause, and float on your back until you are able to catch your breath. Doing so may save your life.